If the term "hot-swap" isn't familiar to you, that's because it isn't often used in a mobile electronics context. In this case, it means that one battery can be removed and replaced while the other one continues to power the phone. Combine that with a manufacturer-estimated 4-day battery life, and you've got a recipe for a longevity fan's dream come true. 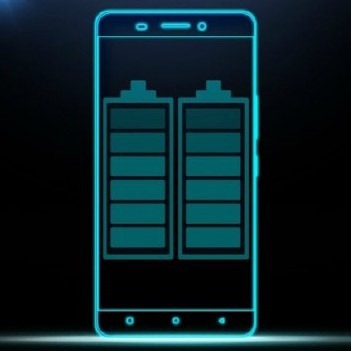 Unfortunately Gionee hasn't actually shown off the phone yet, so specifications (including the actual capacity of the batteries in question) aren't available. And on top of that, the Chinese market is so big and so specialized that Chinese manufacturers rarely sell their devices outside of the country - companies like Huawei are the exception, not the rule. Still, it will be interesting to see this hardware implementation. 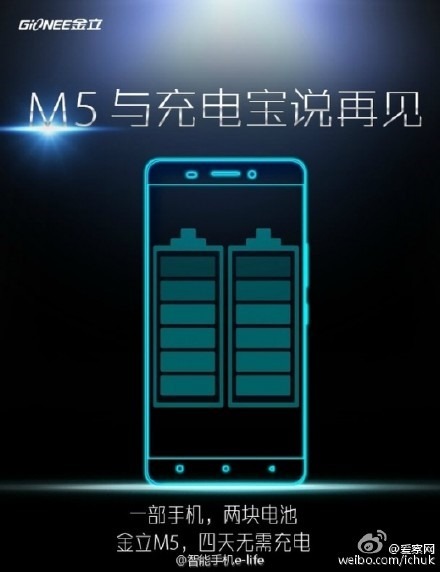 Perhaps if the M5 is a hit we can expect to see copycats, especially among "rugged" phone designs. One of our readers pointed out another GizmoChina post from last week focusing on a second dual-battery design, the Innos D6000. This one uses one permanent and one removable battery, the latter of which can be replaced without powering down the phone. It's not clear if these devices are the same - they could be two phones based on a single whitebox design, or separate phones that simply happened to feature similar capabilities.